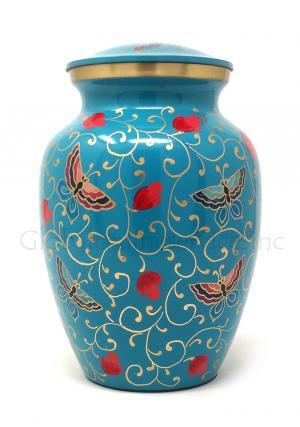 Brass medium cremation urn is crafted to store full amount of human cremation ashes. 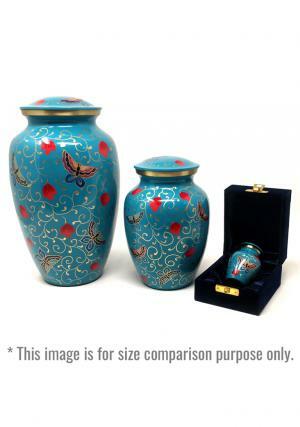 The medium funeral urn describes the natures & quality on the person very well. 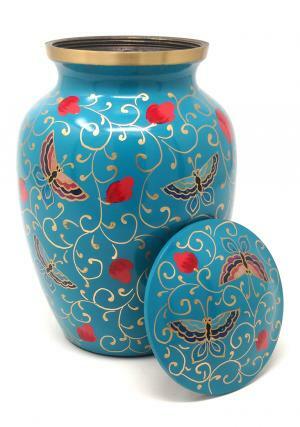 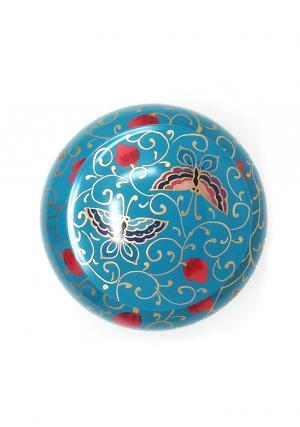 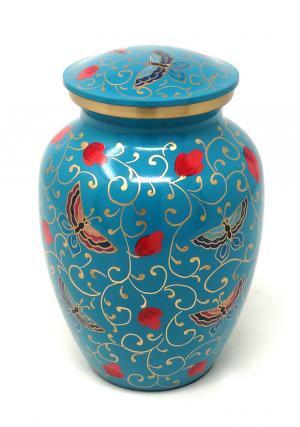 The medium cremation urn has perfect design of natural colour-full butterflies. 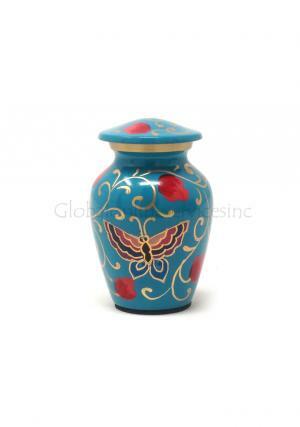 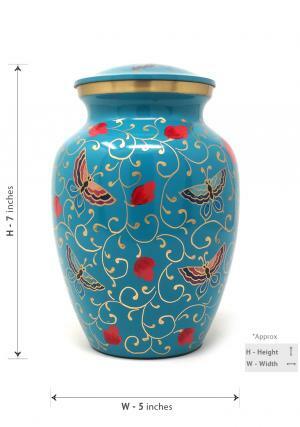 Everyone do love to have a wish to be similar to that of butterflies and some hand print on the urn can truly be more special to the family to decorate in the home.